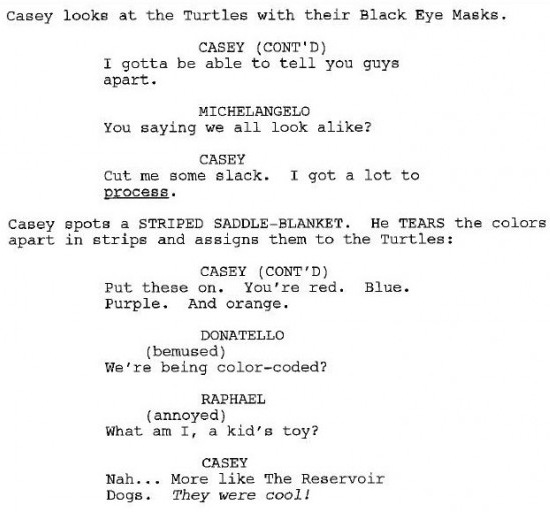 This only really serves to confirm your worst fears about the (thankfully) scrapped Michael Bay TMNT movie. Sorry, aliens, yes. TANT. 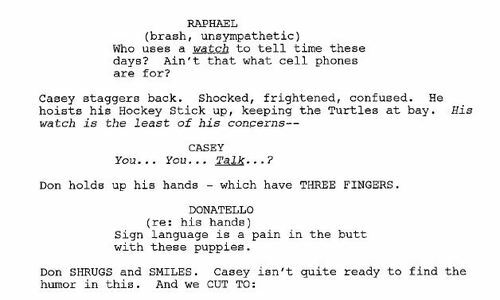 There are questions over the authenticity of the script leak that TMNT, NOT TANT blog got their hands on, however if the cease and desist letter that Paramount supposedly served to the blog is to be believed, it has authentic written all over it. The excerpts below will be the best (worst) things you will probably ever read. 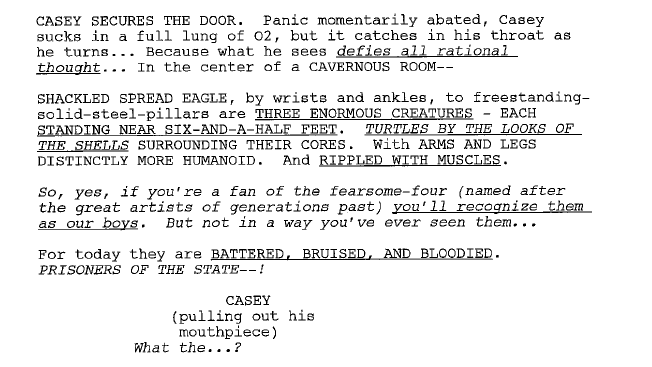 It is truly a travesty that such depressingly awful dialogue was not only written but also printed onto actual paper. I feel most sorry for the trees that died to make that happen, and am hereby demanding a written apology from both Michael Bay and Paramount for the hurt they’ve cause to both the specific trees in question and also their tree-families. Also, I’m sure this script will turn up in full again somewhere soon, because that’s how the Internet works.